Autumn is here, and most lab members have returned from the far ends of the earth to New Orleans for fall semester at Tulane. It was quite the summer, and things show little sign of slowing down in the fall. Since the last update, we received a grant from the National Science Foundation for work on white-shouldered fairy-wrens in Papua New Guinea, and had publications come out in Evolution, Canadian Journal of Zoology, and Journal of Tropical Ecology. Jenny Hazlehurst spent 3 months in Manu National Park, Peru, where she and her team took measurements from over 2,000 flowers and captured 80 hummingbirds. 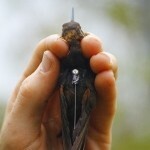 With support from the Animal Behavior Society, she also successfully used miniaturized radio telemetry technology to track the hummingbirds – one of the first projects ever to do so. Luke Browne was in Ecuador, collecting data on palm dispersal and demography at Bilsa Biological Station and mentoring research by Malinda Chambers, now a +1 MS student in the lab, and John Bailey Cox, a Tulane undergrad. Luke is remaining down in Ecuador through the end of the year to study forest fragments, as described below. 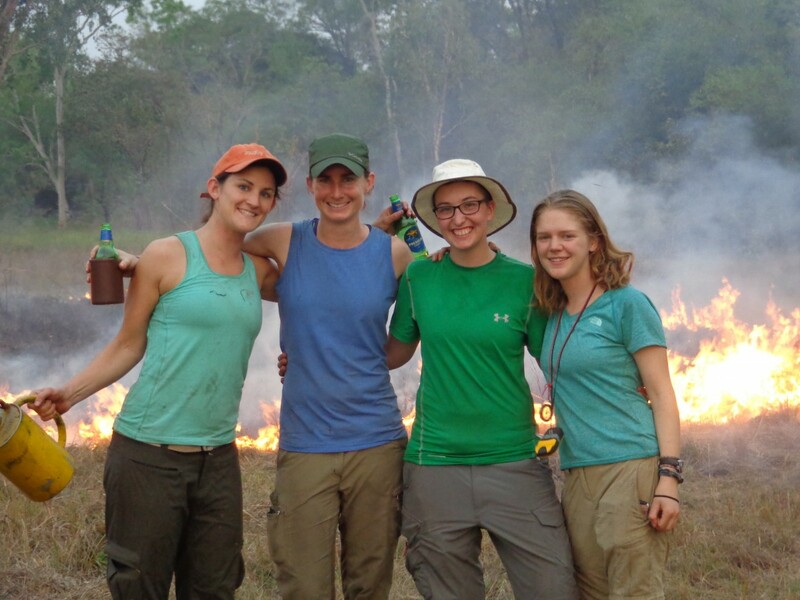 Sam Lantz wrapped up fieldwork on red-backed fairy-wrens in Australia’s Northern Territory, with support from the National Science Foundation’s ‘International Research Experience for Student’s’ (IRES) program . In the context of IRES, Sam mentored Roxy Franta, a +1 MS student in the lab, and 6 undergrads including Tulane’s own Nicole Moody and Alex Gulachenski. Sam is now back in New Orleans analyzing data, and enjoying her new dog Piper. Brock Geary worked with Dr. Scott Walter to successfully deploy 14 GPS tracking devices on brown pelicans in the Gulf of Mexico, with support from the National Geographic Society. He is now working through the trove of data he collected. Brock has been developing a collaboration to link pelican movements to distributions of the fish they forage upon with Dr. Kevin Purcell, a new friend of the lab! 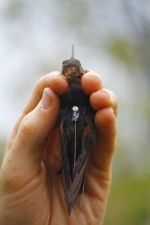 Erik Enbody conducted research on white-shouldered fairy-wrens at our study site in Papua New Guinea’s Milne Bay Province, and gathered additional data from Western, and Enga Provinces. With support from the Disney Worldwide Conservation Fund, he and Max Alliaga to helped to produce a short film on this project and worked with resident Serena Ketaloya to provide a series of training workshops and educational events for local communities. Zoe Diaz-Martin spent time in Ecuador becoming familiar with the field site, helping Luke, and also collecting seed trap data with local resident researcher Domingo Cabrera. Zoe is now busy taking classes and settling into life in New Orleans. After wrangling pelicans over the summer, post-doc Dr. Scott Walter is currently in Ecuador, working with Luke and our friends at FCAT. 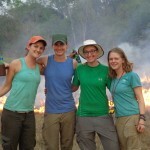 They are leading a research team consisting of local residents, university students, and PhD level researchers. The team is assessing effects of forest fragmentation on biodiversity, with focused studies of many taxa including amphibians, mammals, understory bird communities, nocturnal birds, beetles, orchid bees, bird parasites, soil bacteria, palm species diversity, and forest structure. This project is supported by US Fish & Wildlife Service, Disney Worldwide Conservation Fund, CREOi, and Conservation, Food & Health Foundation. Over the summer, Jordan Karubian caught up with Sam and the IRES team in Australia, and then visited Erik in Papua New Guinea. He traveled to the Animal Behavior Society meeting in August, as well as the American Ornithologists Union annual meeting in September, where he presented along with Sam, Erik and Brock. Jordan and friend of the lab Renata Ribeiro are currently seeking students for Tropical Field Biology and Conservation (EBIO 378), a summer field course in Ecuador! Stay tuned for our next update, in early 2015.